Last week I went to St Brendan’s School to read There Was an Old Sailor as a preface to presenting bags of books to Grade 1 & 2 students. 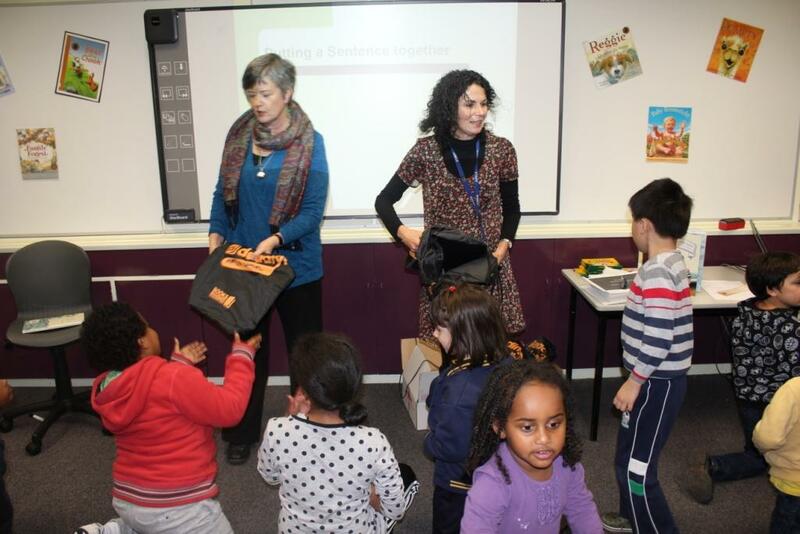 It was all part of the wonderful Books in Homes project, in this instance supported by funds from a Melbourne legal firm. The children were so enthusiastic and full of beans, as were their teachers. It was a delight to be there and to be part of it. After the presentation, the children read from their new books. 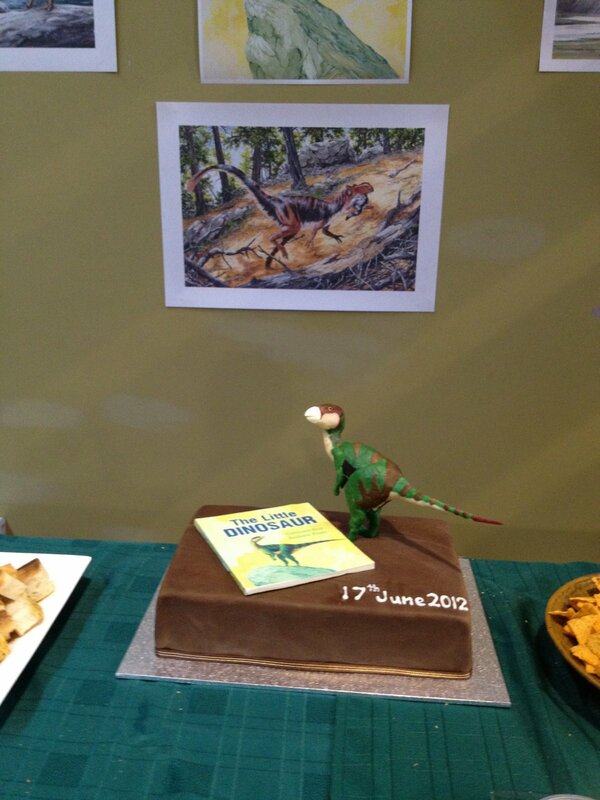 Sunday was the Melbourne launch of The Little Dinosaur, written by Catriona Hoy, illustrated by Andrew Plant, published by Working Title Press. This cake was made by one of Catriona’s chemistry teacher mates. Wish they taught me how to do this in my chemistry classes! The Little Dinosaur is based on a discovery at Dinosaur Cove and a particular bone. 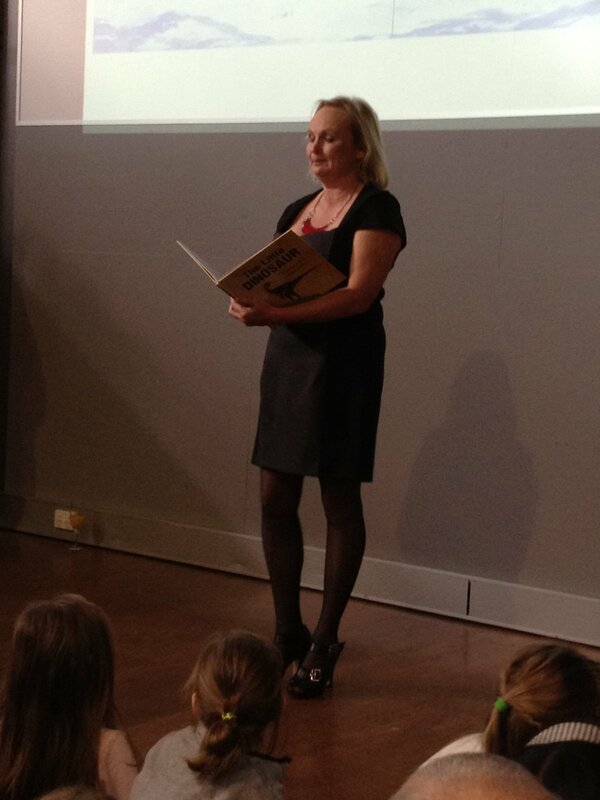 It was fitting then that the launch was held at the Science Centre at Monash University, where the bone now lives. And yes, it was available for viewing, as were several other partially-constructed dinosaur skeletons. 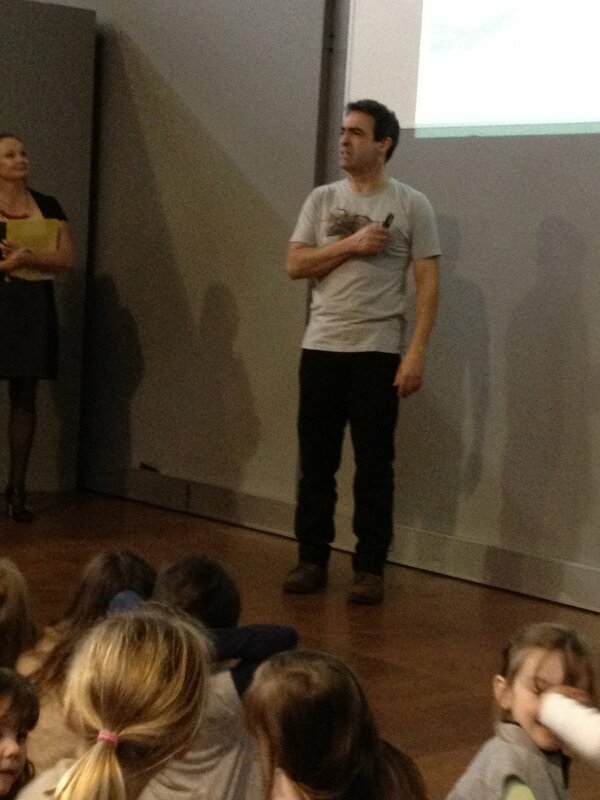 Catriona talked about how that bone became a story, and Andrew took us on a whirlwind tour of the Cretacaeous. 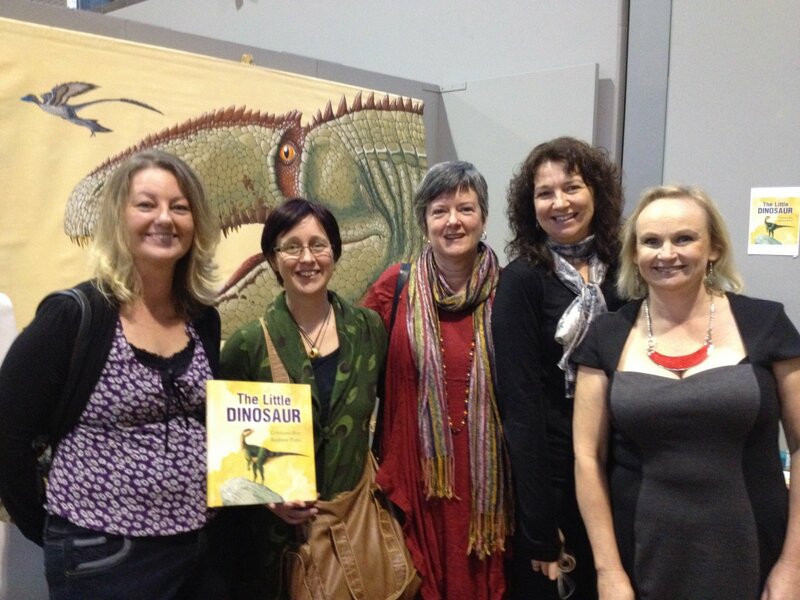 Jo Thompson, Kim Rackham, moi, Bren MacDibble and Catriona. Congratulations Catriona and Andrew on a fabulous new book. This gum and blossom was in the main street of Rainbow. 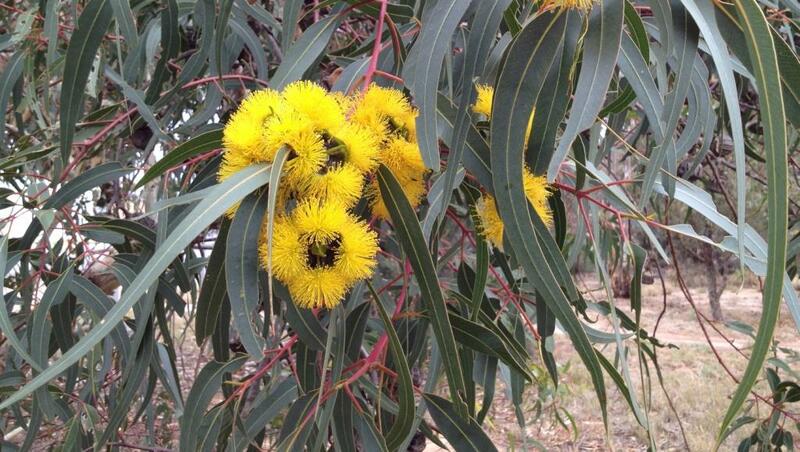 The leaves are more than 30 cm long and the gum nut is about the size of a 50 cent piece. Then I called in to see my niece for a cuppa and there she and her boyfriend were, sipping tea, nibbling pear and cheese at a table set on the front lawn, and playing Scrabble. What a delightful way to enjoy a day! 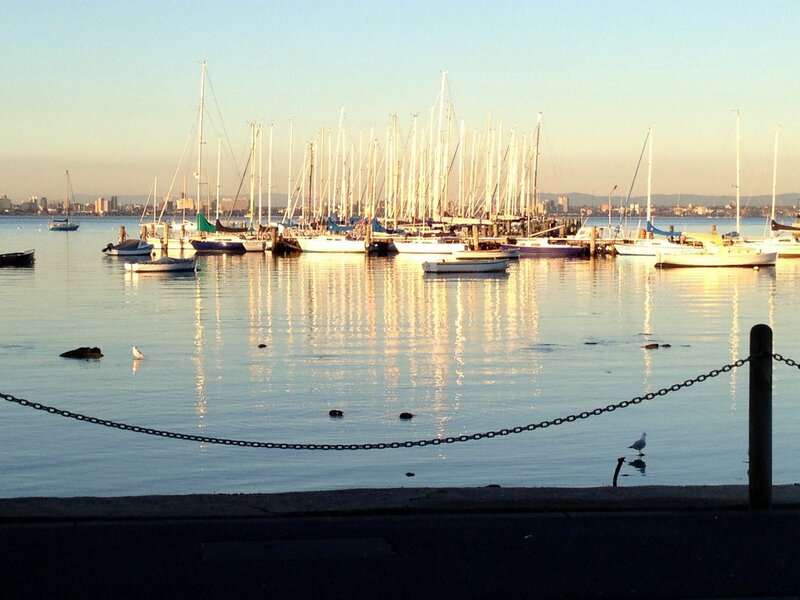 Okay, so it’s another view of Willy foreshore, but ain’t it peaceful?